This widget converts what is selected from a drop down field, or a set of radio buttons, to a value that you will configure as the desired result. 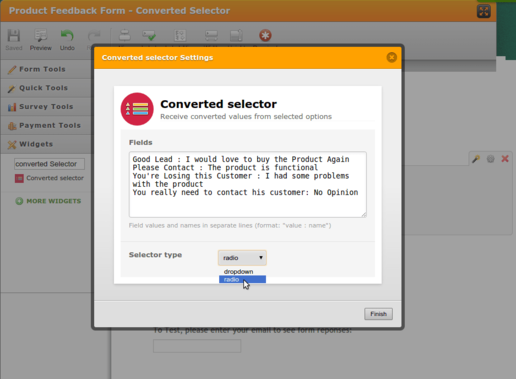 It is very useful for drop down fields or radio buttons that show the user a set of options to choose from, then in the background, different values are associated with each option, thereby converting the selected option to the associated value. 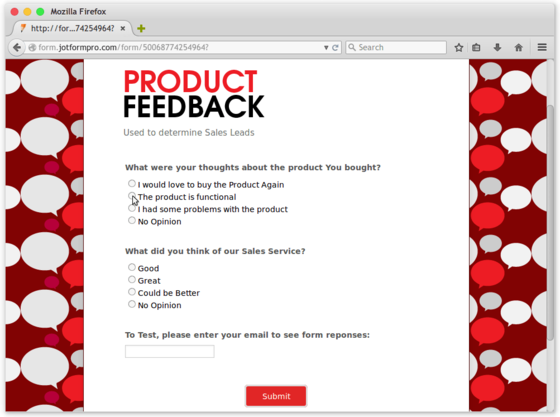 A good example would be the demo form, which collects after sales information in a feedback form. 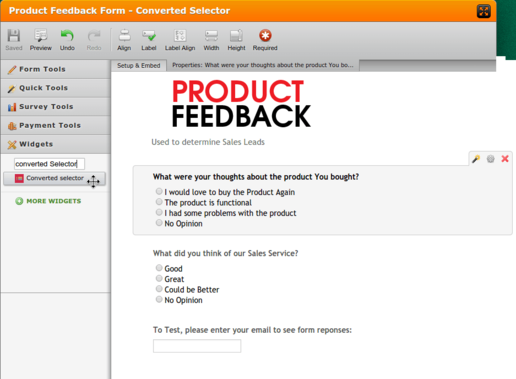 Depending on what the user selects, the sales agent will be told by the form whether to contact the customer or save him or her as a good sales lead.